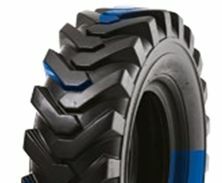 and deep tread depth, it optimises traction and durability in heavy-duty, off-road applications. CAMSO SL G2 (Formally SOLIDEAL Loadmaster) G-2 is a premium bias grader tyre constructed with a high strength carcass and premium natural rubber compounds. Stepped reinforced tread lugs provide excellent traction in off-road or soft conditions. Maximised lug count, deeper lugs and heavier casing is what you get with CAMSO grader tyres as standard.